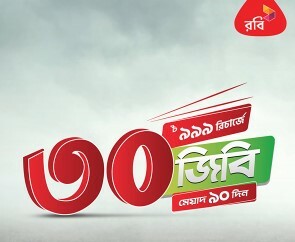 Robi 90 Days Validity Internet Offer 2019! Hello Dear, Welcome to Robi 90Days Validity Internet Offer 2019 Activation Code, Validity, Uses Terms and Conditions Content. Robi is the first company who lunches 90 Days Validity internet offer under 1000 Taka, for their valuable customers. All the Robi prepaid and postpaid customers are eligible to enjoy Robi 90 Days Internet Offer 2019. Under this offer, customers get high speed data for a long validity (90 Days). If you are a Robi Internet users and want to activate a Robi 90 Days Validity small, medium and big Internet Package 2019 in cheap price? This is the right place for you. So, staying with us and continue reading this content. 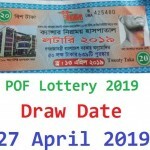 At present, there are two 90 days validity Robi internet offer 2019 available for activation and their name is Robi 12GB Internet at 669 TK and Robi 30GB Internet at 999 TK. Above both package validity 90 days. Here the below details information about both offer. To activate the Robi 12 GB @ 669 TK Offer, just recharge exact 669 TK or click on this LINK and follow next instruction. All the Robi customers are eligible to enjoy Robi 30GB@999TK with 90Days Validity internet offer. VAT + SD + SC included in recharge amount 999 TK. To check the Robi 30GB Longer Validity Internet Offer 2019 remaining balance *123*3*5# or *8444*88#. 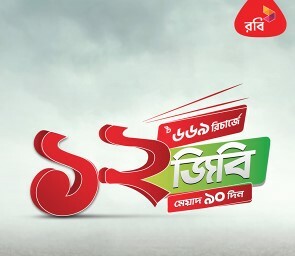 Robi 30GB 999TK for 90days long validity Internet offer 2019 can be used in any network. For usage beyond the packs, data volume from other individual data packs (if any) or BDT 0.01/10KB (+taxes) will be applicable. Customers can activate the Robi 30GB 999 TK 90days validity offer as many times as they want during the offer period. Thanks for staying with us a long time and visiting Robi 90 Days Validity Internet Offer 2019 Activation Code, Validity, Uses Terms and Conditions Content. If you have any question about the Robi 90days validity offer 2019? Just comment here. We reply as soon as possible.